The dyslexic child may have difficulty learning to read due to one or more information processing problems such as visual perceptual or auditory perceptual deficits. Make sure to understand the learning challenges and strategies to teach a child with dyslexia what they need to learn. Discover the dyslexia learning tools available to best educate your student. If you are visiting this site today, chances are you either already are homeschooling or are considering homeschooling your dyslexic child or grandchild. Our school system is failing our kids, despite good intentions, and until that changes, parents are being faced with the responsibility of forging a new path for their struggling kids. A printable booklet by Brother Matthew Sasse a SpLD / Dyslexia Consultant and Tutor in the BDA Dyslexia Contact magazine. This booklet provides eminently practical advice for both dyslexics, their parents, and their teachers. Frequently Asked Questions about dyslexia from the International Dyslexia Association. Marianne Sunderland writes from the unique perspective of a homeschooling mother of 8 children, 7 of whom are dyslexic. She says, “Writing about dyslexia is a passion of mine because of our own experience raising and teaching our kids with dyslexia. I know how it feels to be utterly confused by an otherwise bright child who just doesn’t ‘get’ reading. Why Homeschool a Dyslexic Child? By: International Dyslexia Association and Michael Minsky. Dyslexic children require direct, systematic, and individualized instruction in reading and spelling. Public schools cannot always provide an adequate level of service. Indeed, some systems are woefully ill-prepared to deal with such children and may even deny, against all scientific evidence, that dyslexia exists. For many parents, an independent specialized boarding or day school is not an option. Testing can be expensive and time consuming, so it is very important to seek out a qualified professional and for them to administer the most appropriate tests. Is your teenager struggling in school? Perhaps he has a reading disability. Answer these questions to determine if you should have him evaluated. Does your little one have a problem learning? Perhaps she has a reading disability. Answer these questions to determine if you should have her evaluated. Dyslexia Test – Does Your Child Have Dyslexia? I wanted to share with you a some new dyslexia screening software available from Nessy.com (plus a discount especially for my readers!). You can now run an online test yourself to assess dyslexia symptoms or early signs of dyslexia in your child. An international, non-profit organization dedicated to the study and treatment of the learning disability, dyslexia. They have a printable version of their Homeschooling Fact Sheet. Helps those with dyslexia to read online. Also available as a system font for using word processors, email, etc. Susan Godsland has endeavored to provide a comprehensive and up-to-date guide to teaching a dyslexic child at home. She also covers concerns of dyslexic parents who want to home educate. I had always thought of dyslexia as the reading disorder where a person transposes letters. In actuality, dyslexia is a comprehensive label that encompasses a wide number of reading/writing/spelling challenges with some similar characteristics. Time4Learning helped greatly. We struggle with the difficulties, but homeschooling gives us the opportunity to soar in areas of his strengths. And his self-esteem is intact. By Mary Natwick. Left alone, a dyslexic child will learn things their way. Homeschooling is great for them because they can learn things the way it works for them, not the way a teacher presents things to a classroom. By Karen Pennebaker. Alan Lawson has done lots of research into dyslexia. He wants people to have access to this information in order to conquer their dyslexia and begin to realize their full potential. This page was created to help parents of children with dyslexia improve their child’s learning experience as it relates to homeschooling and homework. It is intended to provide an avenue for parents to discuss tips, tricks, and programs that work for children with dyslexia. A forum to share encouragement and resources for homeschooling parents, or parents considering homeschooling their kids with dyslexia. Site. This group is open to those homeschooling children that have one or more diagnose(s) of Dyslexia, dysgraphia, Dyscalculia, FASD, FAS, ARND, Autism, Asperger’s syndrome, PDD, auditory processing issues, low IQ, math disabilities, writing disabilities or difficulties and other types of special needs. A forum to share encouragement and resources for homeschooling parents, or parents considering homeschooling their kids with dyslexia. We offer support to homeschooling families. Decoding Dyslexia-MS does not endorse or recommend any program or product. DD-OH Homeschool Support is an extension of DD-OH. This page is for homeschooling families to help provide support and resources. Site, Google+ Group. A group for parents of dyslexic children in Australia who are also homeschooling. A place to share ideas, resources, and information and connect with others on a similar journey. Dyslexic children learn to read through sensory-based reading instruction. Here are some commercial sites with such materials available to purchase. Products: Intensive Dyslexia/Language Therapy, Tutorial Services, and Technology and Homeschool Training. Uses Orton Gillingham method. 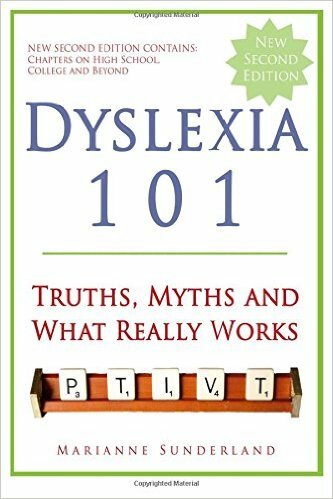 Lillian Jones writes a review of The Gift of Dyslexia, a book written by Ron Davis, who is himself a dyslexic. There is a lot of confusion and negativity about dyslexia. The result is a lot of frustration to all involved. Let’s try to turn that situation around. Let’s try to better understand dyslexia and see ways forward. At 59 Learning Centers in 13 states, the Children’s Learning Centers tackle the challenge of dyslexia head-on, both by providing free tutoring for children with dyslexia and by training a growing cadre of highly skilled and dedicated tutors. Educational reading program for children and adults to help with reading improvement and learning to read with dyslexia. Educational titles available in every subject area and grade level from kindergarten through graduate studies, RFB&D’s digitally recorded textbooks are effective learning tools for students challenged by the printed page. We need individuals with highly developed visual-spatial abilities for advancement in the arts, technology and business. These are the creative leaders of society. We need to protect their differences in childhood and enable them to develop their unique talents in supportive environments at home and at school. A learning disability, such as dyslexia, is just that—a disability, not an impossibility. Staying with a task until it is done can be very hard for anyone who has trouble concentrating or reading. Knowing how to make the best use of your time can help you get more done and feel better about yourself.